How many people really use Periscope? That’s something co-founder and CEO Kayvon Beykpour wanted to answer today. As of August 2, he says Periscope has reached 10 million total accounts. Beykpour also dove into how many of those users actually use Periscope. In a metric they call ‘time watched’ — which tallies how much total time users spend on Periscope watching streams — he says the service has 40 years of time watched daily. That means every day, we’re collectively watching 40 years of Periscope streams. We need to get lives, y’all. The metric is only rising, too. Though Periscope naturally spiked when Twitter acquired it, it has also risen steadily in popularity. Perhaps home-grown video really is the new medium of choice. Periscope also believes its time watched metric is a good barometer for success; if you’re watching, you’re taking something away from the service. That metric may be why the team introduced its new Couch Mode service a few days ago, too. 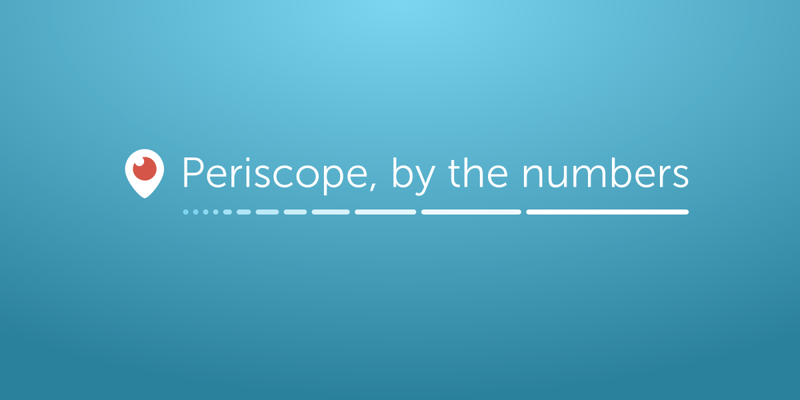 If you want to read about the numbers, you can also check out Periscope’s Medium post.